Some years ago, on a mission with the International Committee of the Red Cross, I crossed a desert in the Middle East. The landscape was barren and desolate: sand, stones, and dust. 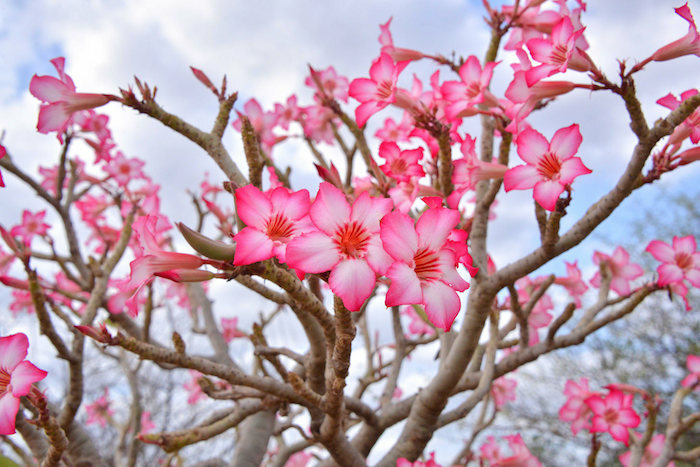 During the night, it started to rain and the next morning, as we continued our journey, we gradually witnessed a kind of miracle: little flowers and green shoots were covering the desert in an amazing display of color and life. Seeing this rare display reminded me of a fundamental, but too often forgotten, truth: Water is the source of life. We are natural beings and, most of all, we are water beings and we belong to the water cycle; we are part of it. All life forms originate in water, and we also originate in a water bubble growing inside our mother’s womb. As part of the water cycle, we can connect with the reality of our interdependence with all sentient beings and the planet herself. When we ask ourselves why the earth is the only planet that supports such a variety of life—from simple, single-celled bacteria to complex human beings—we discover it is because the earth possesses something unique that no other planet in the entire universe has: This is the gift of water, which the earth has in a significant quantity and which holds all life together. Without it, life as we know it would be impossible. Water is in the soil; it is in the air we breathe, in the rivers, glaciers, and clouds; Water fills the oceans and the seas, rendering all life on this planet possible. Water is our body. As mere fetuses in wombs, we are 85 percent water and as adults, water makes up 70 percent of our being. This is true not only of human beings but for all sentient beings. The food we eat is all mainly made up of water. A tomato is 95 percent water and a potato is 78 percent water. Yet the shocking reality is that today more than a billion people worldwide do not have access to safe drinking water, resulting in nearly 2 million deaths each year due to waterborne diseases, with most moralities among children. At the same time, multinational companies want to privatize water and treat it as a mere commodity. With the rise of water scarcity due to human population growth, pollution, and climate change, clearly our relationship with water must change. This insight became even more tangible as shortly after my experience in the desert, I was in Darfur on an assessment mission. Disputes over scarce water and grazing land between black African farmers and Arab pastoralist communities triggered the war. Lack of access to water remained one of the major drivers of the ongoing conflict there. Too often, violence is stimulated by resource scarcity. Looking at a map of oil production, transportation, and distribution in the world and comparing it with the geographical areas of wars and conflicts over the past decades, it is striking to see that the two essentially overlap. Our current economic and social system is addicted to oil, and violent wars have been fought over this precious resource. But due to climate change, a growing human population, and the spread of western-style consumerism all over the world, water is poised to be the next resource sparking conflict. Oil wars have been, and still are, extremely violent. But as humans we can live without oil. There are alternatives to it. It is difficult to imagine the consequences severe water shortage could have, and the ferocity it could trigger, because without water humans and animals cannot survive more than a few days. I believe that we need to see the “water challenge” in a larger context: It is but a symptom of the disconnection of the current dominant economic, social, political, and ideological systems with nature as a whole. This disconnection from nature manifests in so many ways: environmental destruction, soil, water, and air pollution, and animal exploitation and abuse. The disconnection between current social and economic systems and nature is merely indicative of a general tendency; the disconnection actually takes place in our own consciousness and only in our own minds can the reconnection take place, through the intentional training of mindfulness and compassion. Mindfulness strengthens our ability to perceive clearly what is going on inside of us and also around us, compassion enables us to relate to the world in a less exploitative way. When we become aware of the fundamental interdependence of all life forms, we realize that water, as the very source of life, is sacred and has to be treated accordingly. There is no doubt that modernity, science, and technology have brought about impressive progress and development that contributed to better life for many. But progress has also come with a price: by focusing almost entirely on satisfying the material needs of humans, we have lost sight of many other dimensions of value. These include the psychological, spiritual, relational, and artistic aspects of humanity that are equally important. In addition, we have forgotten that if we do not take into consideration the well-being other life forms and of the planet herself, even material human needs cannot be met in a sustainable way. You are the Mother of all beings. I call you by the human name Mother and yet I know your mothering nature is more vast and ancient than humankind. We are just one young species of your many children. All the millions of other species who live—or have lived—on Earth are also your children. You aren’t a person, but I know you are not less than a person either. You are a living breathing being in the form of a planet. Environmental conservation and resilience is the core principle of GNH. Preserving water and using it mindfully is a central dimension of ecological awareness. Good governance is based on the intention to bring happiness and well-being to all the people and to all life forms. Preservation of natural resources and more specifically of water is a key responsibility of all true leadership. Cultural diversity and resilience: all traditional and indigenous cultures are aware of the sacredness of all the natural elements, including water; only the modern materialistic industrial ideology reduces it to a commodity. Therefore, diversity of culture allows us to have a broader perspective that transcends the narrow utilitarian approach. Sustainable socio-economic development: economic development is too often pursued with disregard for the environment. For socio-economic development to be fair and sustainable, it must take into account the preservation of our planet and of its elements, namely of water, in such a way that our development is not achieved at the cost of future generations. If we redefine our development strategy in this way, not only water but also the whole of the planet and all living beings will have a chance to flourish and thrive. Hanh, N. (2013). A love letter to the Earth. Berkeley, CA: Parallax Press. Dr. Ha Vinh Tho is the Program Director of the Gross National Happiness Centre in Bhutan. He is an international speaker on GNH, happiness and well-being, and beyond GDP. 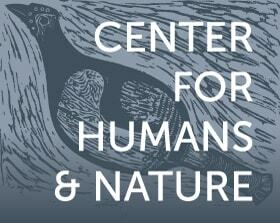 A collection of resources from Center for Humans and Nature.